Want to know more about exquisite Matangi Island Resort? 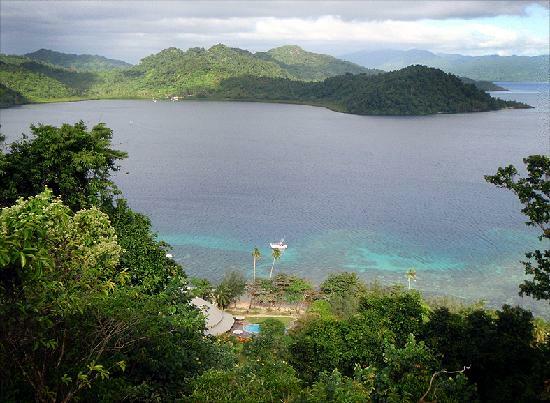 Discover this exotic getaway on it's own private Matagi island oozing seclusion and tranquility. 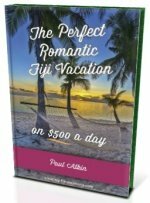 Have you heard about the famous treehouses in Fiji? Well, they are here! - Who does Matagi suit? Suits couples wanting a 4-star isolated private island getaway with quality service and plenty of nature. 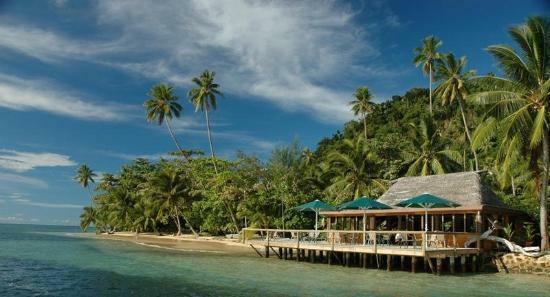 Matangi Island Resort is located on the tiny 1 km² Matagi Island (spelt Matagi and pronounced ma-tang-i). 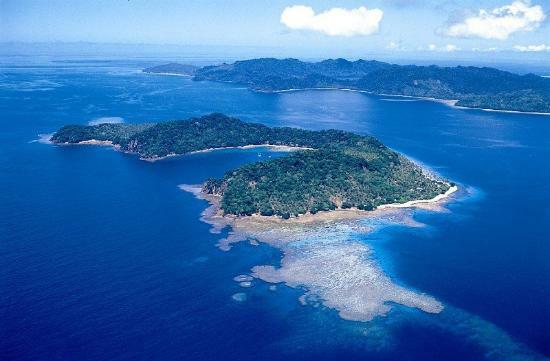 The horseshoe-shaped island is located 10 km off the north east coast of Fiji's third largest island, Taveuni. Taveuni is around 180 km north east of Suva. If you want an isolated island getaway, then you've got it with Matangi Island Resort. After you catch an international flight to Nadi International Airport, it's a 90-minute domestic flight to Taveuni Island. Then it's a 20-minute mini-bus transfer followed by a 20-minute wet boat transfer to the resort. 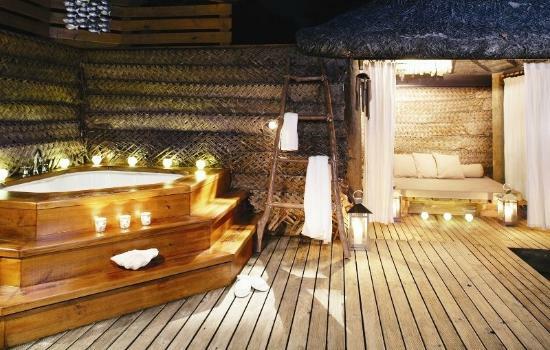 For honeymooners and couples, the split-level treehouses are something special. 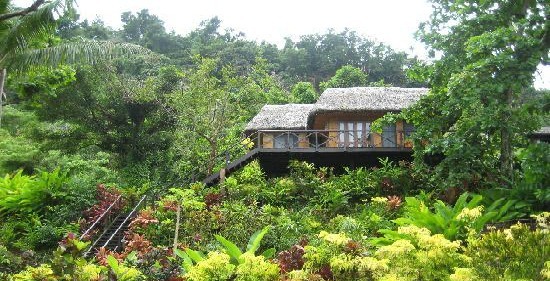 Perched 5 metres up in the canopy, it has a large private deck, king size day bed, outdoor rock shower, outdoor jacuzzi, sun loungers, and his and her basins. You won't be coming back 12 months later as children under 12 aren't suitable! Meals are served with the dining room having ocean views. Local tropical fruits and vegetables are widely used as is locally caught fish and seafood. Freshly baked breads, cookies, and desserts makes sure you won't be losing any weight on your holiday. Wines, beer, and spirits are also available to quench your thirst after a hard day of relaxing. It's no surprise given Matangi Island Resort's unique location amongst nature, that there's various outdoor activities on hand. Diving all around Matagi Island is exquisite with dozens of dive sites to choose from. You will experience hard and soft corals, vibrant marine life, and plummeting walls. If you like diving, your already fantastic holiday just got even better. Matangi's spa opened in 2011 and offers a range of treatments including massages, skin, facials, spa and others that I'll leave to the ladies. Rates range from US$680 for the standard bure to US$1,100 for the 2 bedroom bure. Rates are per bure per night. Inclusive are 3 meals per day, non-motorised activities, and snacks. 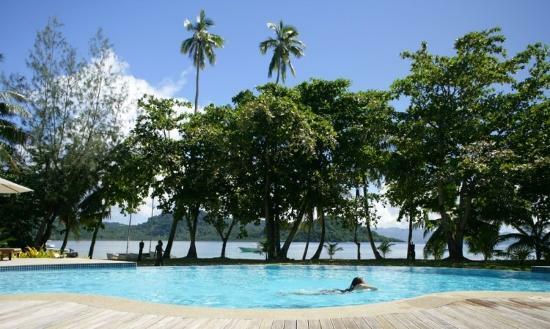 Visit it's site at http://matangiisland.com/.